Aleandro’s new album, The Crossing is about that journey: searching, but not necessarily finding, eyes and ears open all the way. It is his first for Yep Roc records and his first ever recorded in Europe. 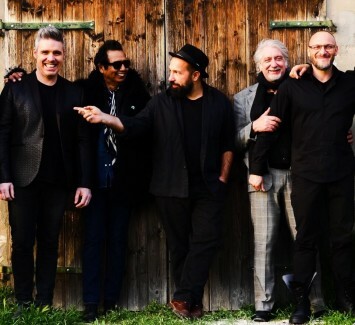 It was recorded in an Italian farm house near Mogdliana and features his collaborator and co-songwriter Don Antonio with his band whom will be backing and opening for Alejandro. Don Antonio has backed numerous American acts in Europe but this will be their first ever tour of the US. Escovedo’s trailblazing career that began with The Nuns, San Francisco's famed punk innovators, to the Austin-based-based alt-country rock pioneers, Rank & File, to Texas bred darlings, True Believers, through countless all-star collaborations and tribute album appearances and finally a series of beloved solo albums beginning with 1992's acclaimed Gravity, Escovedo has earned a surplus of distinctions: No Depression magazine's ‘Artist of the Decade’ Award in 1998 and the Americana Music Association's Lifetime Achievement Award for Performing in 2006, just to name two. His last album was recorded with Peter Buck and Scott McCaughey and he has previously worked with Chuck Prophet, John Cale, Los Lobos, Willie Nelson and Bruce Springsteen.